If you haven't heard about MoviePass, you probably don't go to the movies often. Available as an app for iOS and Android, a subscription to the service allows you to get in to see a movie a day at more than 4,000 theaters. That works out to 91% of all locations in the U.S. The cost of the service is $9.95/month, although that can be reduced to $7.95 a month by paying for a year in advance (and adding a $19.95 processing fee). The app is a necessary part of using MoviePass as it helps you find the theater and showtimes of the movie that you want to see. You also need to use it to check in at the theater once you arrive. But lately there has been some concern about user privacy after the company removed a feature from its iOS app that would have allowed it to track users' locations on a constant basis. Now, those with an iOS powered device can choose between "never track" or "track when using the app." The option removed was one that gave users the option to be tracked all of the time. Also unsettling were some comments made at an industry conference by MoviePass CEO Mitch Lowe at the beginning of this month. On March 2nd, Lowe said that the MoviePass app tracks users "in your GPS by the phone… so we watch how you drive from home to the movies. We watch where you go afterwards, and so we know the movies you watch. We know all about you. We don’t sell that data. What we do is we use that data to market film." On Monday, the executive said that he misspoke, and that the app tracks customers only when they are using it. 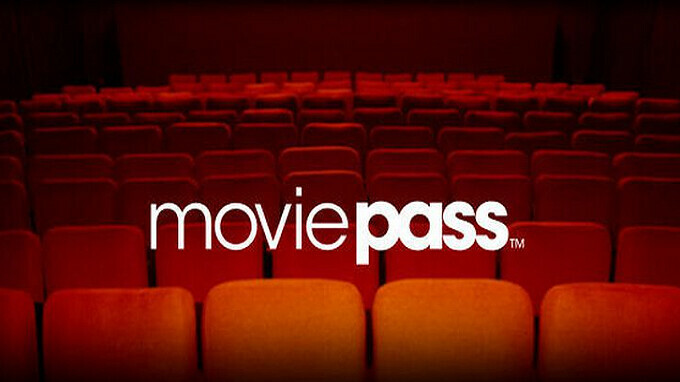 The executive is adamant that personalized data is never shared with theaters and studios; information about the 2 million subscribers that Lowe claims that MoviePass has, is sent out anonymized. It has always been part of the company's business plan to generate revenue by selling this data. Lowe's vision for MoviePass is to turn it into a whole night out at the picture show, including providing deals on things to do before and after seeing the film. For example, dining. He sees MoviePass recommending restaurants near movie theaters frequented by subscribers, and enticing the customer base with special offers. The CEO says that if the company decides to do something like that, it will allow customers to opt-in or opt-out. By the end of this year, MoviePass could have 5 million paying members says Lowe. And even if the current number of subscribers brings in a decent monthly gross for this business, there is room to grow. The company is responsible for 6% of all movie tickets purchased in the states, and its CEO says that figure will hit 20% by the end of 2018. Keep in mind that if you choose to join MoviePass, you will have to take Mitch Lowe at his word that you are one of millions of anonymous data points being sent to players in the movie industry. Apart from the obvious privacy violations, what's up with that administration fee if you pay yearly. This would save you only 4 bucks in the end.